The Kubota CD1000 has been designed for operation up to 10cm working depth. 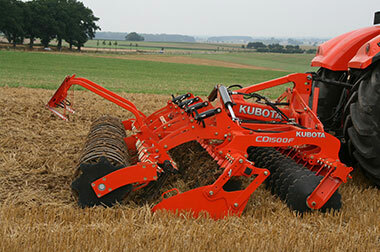 Therefore, the Kubota CD1000 is 15% lighter than the CD2000, thus easier to lift and ideal to reduce soil compaction. The CD1000 is available in working widths from 2.0 to 3.5m and is equipped with a disc arm ready to receive the heat-treated disc of 520x5mm (hardness 200kg/mm²) without any lateral moving during work for a constant cutting quality. 15% lighter – easy to lift, reducing soil compaction. Constant cutting quality due to little lateral movement of the disc arm. Heat-treated disc of 520x5mm (hardness 200kg/mm²). Well protected maintenance-free disc hub for a long life time under large pressure at high working speed. Nice leveling and controlled soil flow. 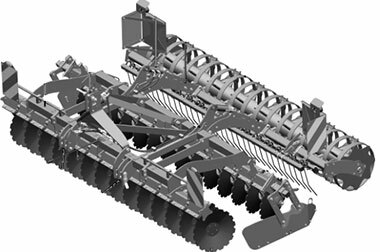 Can be combined with the integrated pneumatic seeder SH200 or SH500 for establishing cover crops or grass in one pass during stubble cultivation. Multiple roller options to choose from. Extremely sturdy – the CD1000 series is fitted with a frame well-proven with the Kubota cultivator range. Reinforced headstock and a frame size of 100 x 100 x 8 mm, the CD1000 series can be equipped with the heaviest roller. Due to the small distance between the disc sections, the CD1000 series requires reduced lifting capacity. The working depth is easily adjusted by spacers situated at the height adjustment rod. The lateral deflectors are folded to keep the transport width in line with road traffic regulations. The upper part of the arm is fitted with special brackets to avoid any lateral movement: the cutting angle is fixed to ensure an optimum cutting quality even under the driest conditions. The rear disc section operates offset to the front unit to provide optimum performance and trash incorporation. 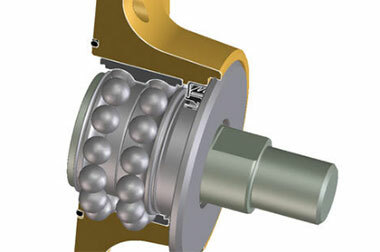 A rubber shock system adjusted to the size of the disc and working speed. 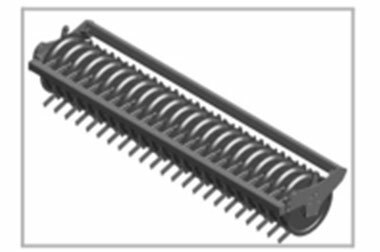 The maintenance free arms are mounted between rubber buffers to absorb any shock loads from contact with unforeseen obstacles. 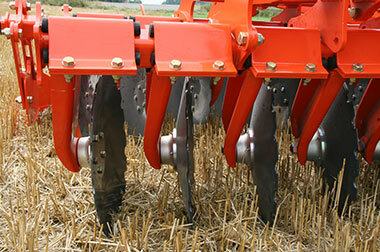 The notched discs improve its penetration and rotation irrespective of any plant residues. According to the soil specifications, the consolidation required, the mixing of the soil and straw, the surface of the soil requested and the lifting capacity available, Kubota offers a choice of rear rollers. Cage roller Ø 550mm – 90kg/m. Actipack roller Ø 560mm – 220 kg/m: heavier, for clod crushing and very firm recompaction of the soil. Adapted also for heavy and sticky soil conditions.